More high-res images available below. As with rats, foxes, tigers and pandas, some microbes are winners, spreading around the world into new ecological niches we’ve created. Others are losing, and might face extinction. These changes are invisible, so why should we care? “Yes, our survival may depend on these microbial winner and losers,” say a team of Australian, Chinese, French, British and Spanish researchers in a paper published in Science today. 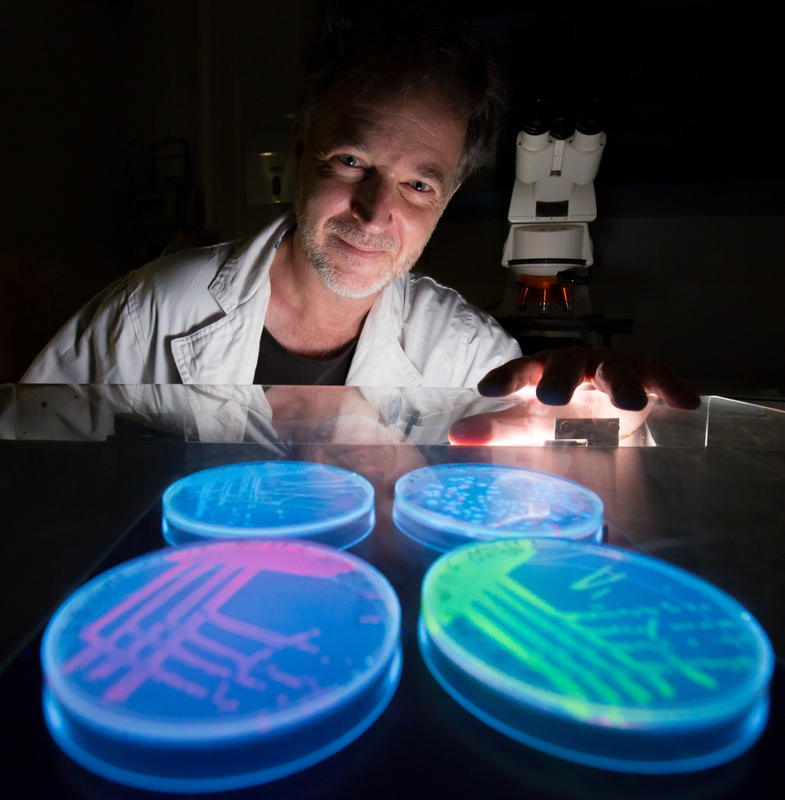 “The oxygen we breathe is largely made by photosynthetic bacteria in the oceans (and not by rainforests, as is commonly believed),” says Macquarie University biologist Michael Gillings. “Microbes usually perform their essential ecosystem services invisibly, but we ignore them at our peril,” they say. The international research team is from Macquarie University, Australia; the Chinese Academy of Sciences; Universite de Lyon, France; University of Nottingham and University of Leeds, UK; and CSIC/CREAF, Barcelona, Spain. Wastewater, tourism, and trade are moving microbes around the globe at an unprecedented scale. For several billion years, microorganisms and the genes they carry have mainly been moved by physical forces such as air and water currents. These forces generated biogeographic patterns for microorganisms that are similar to those of animals and plants. In the past 100 years, humans have changed these dynamics by transporting large numbers of cells to new locations through waste disposal, tourism, and global transport and by modifying selection pressures at those locations. As a consequence, we are in the midst of a substantial alteration to microbial biogeography. This has the potential to change ecosystem services and biogeochemistry in unpredictable ways. Institute of Urban Environment, Chinese Academy of Sciences, China. Global Ecology Unit, CREAF-CSIC-UAB, Spain.